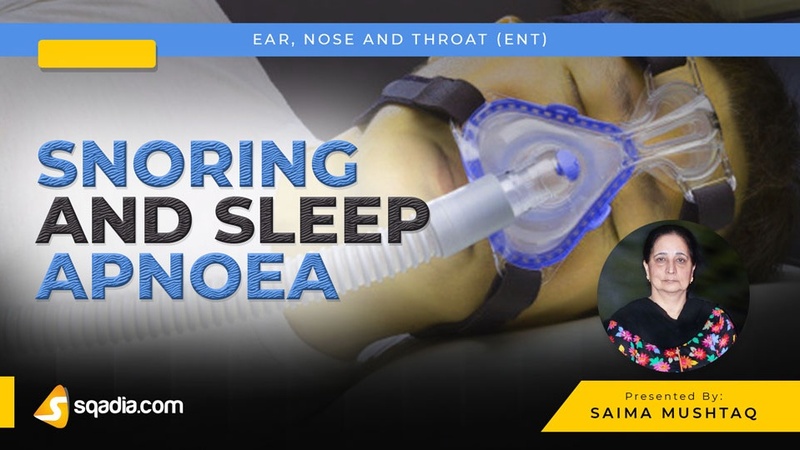 The lecture snoring and sleep apnoea is made following the book ‘Disease of Ear, Nose and Throat’. In this lecture, snoring and its symptomatology along with various management strategies have been shed light upon. Additionally, sleep apnoea is also comprehensively deliberated. Furthermore, clinical evaluation along with surgical and non-surgical management options have also been expounded about. Snoring is an undesirable disturbing sound produced during sleep. Important terminologies linked with snoring include hypopnoea, respiratory disturbance index (RDI) and arousal index. It has an underlying mechanism. Breathing occurs against pharyngeal obstruction. A range of etiologic factors can cause this condition. These include adenotonsillar hypertrophy, septal deviation, nasal polyps, obesity and many other ailments. Sites of snoring include soft-palate, tonsillar pillars and hypopharynx. Snoring presents with certain symptoms which are snoring spouse syndrome, morning headaches, memory loss in addition to general fatigue and decreased libido. Epworth Sleepiness scale provides scoring in various conditions. Treatment options include the avoidance of sedatives, weight reduction, removal of obstructing lesion alongside uvulopalatoplasty (UPP). Sleep apnoea is a sleep disorder which is marked by pauses in breathing or period of shallow breathing during sleep. This ailment has various types viz obstructive, central and mixed. In the former category, pharyngeal muscular tone is reduced following sleep and causes airway narrowing an addition to hypoxemia and hypercapnia. Obstructive sleep apnoea results in congestive heart failure. 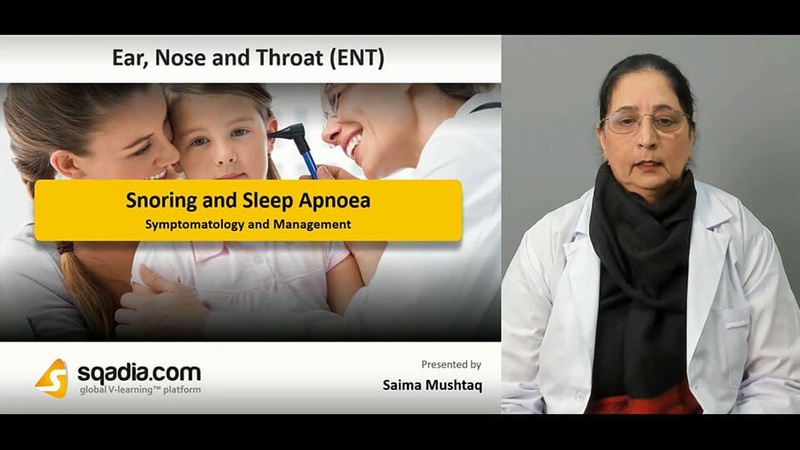 Sleep apnoea can be attributed to several factors. Body mass index (BMI) and collar size have a specific healthy range. Clinical evaluation must be carried out by complete neck and head examination. Muller’s Manoeuvre is one of the commonly employed flexible endoscopic technique which is used for the evaluation of sleep apnoea. Polysomnography, on the other hand, is the ‘gold standard’ for evaluation and diagnosis of sleep apnoea. Sleep apnoea can be managed non-surgically via changes in lifestyle, positional therapy, intraoral devices and continuous positive airway pressure (CPAP). On the contrary, this disorder can also be surgically treated. It can be done via tonsillectomy and/or adenoidectomy alongside nasal surgery (septoplasty). In addition to that, genioplasty with hyoid suspension is also a practice. Moreover, tongue base radiofrequency and maxillomandibular advancement osteotomy can also be carried out.